Below is a fantastic festival guide for the month of March 2013. Every month there are tons of celebrations worldwide to check out and attending them is a great way to immerse yourself in a destinations culture. 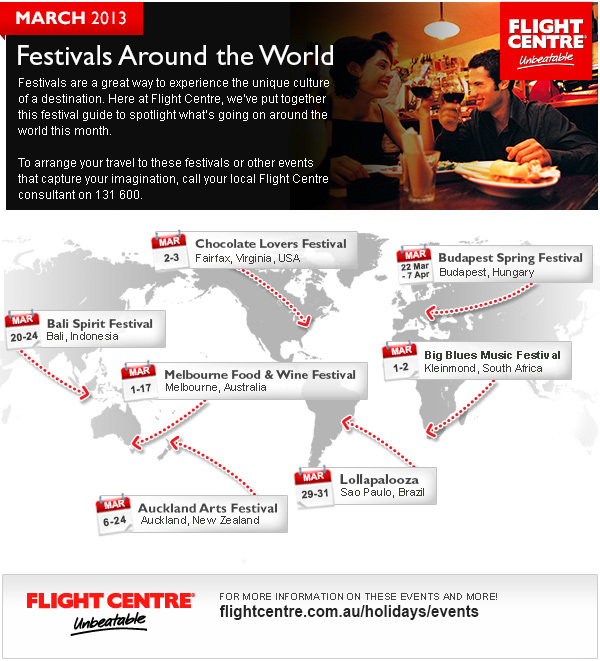 March 2013 has a variety of different festivals to choose from, whether you’re interested in the arts, religion or food! Take a look at the inforgraphic below and see what’s happening around the world.